You want to go out and enjoy Roanoke, but you’re on a serious budget. You might think that means you need to stay home, but there are tons of free things to do in the city. From hands-on activities to sightseeing, you can easily spend the weekend out without spending a dime at these Roanoke Attractions. Like the idea of golf but can’t seem to hit that little ball into the hole? 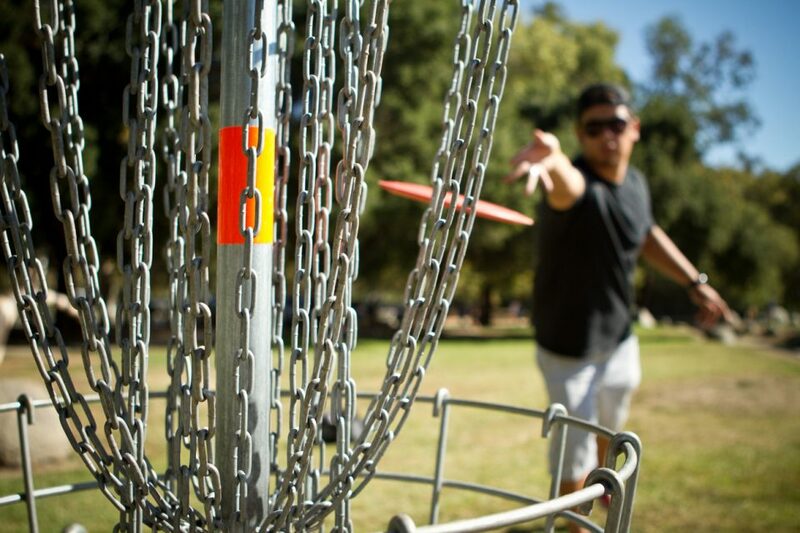 Maybe you’re made for disc golf. The rules are basically the same, but instead of using golf balls and clubs, you throw a frisbee into a basket. The sport is fun and free, and you can play it right here in Roanoke. Fishburn Park has a nine-hole disc golf course. All the holes are par-three and meant for casual players. If you want more of a challenge, head to Highland Park. This nine-hole par-30 course is full of trees and hills, so you’ll get quite a workout in while playing. Like searching for hidden treasure? You’ll love going geocaching. There are tons of geocaching opportunities in the city. Simply go to the Geocaching website, type in the zip, and the available geocaches will come up. Start with beginner caches, and work your way up to more advanced options. Did you know that admission is free at the Taubman Museum of Art? That’s not just on special days, either. It’s always free, so you can get a little bit of culture without handing over your debit card. The museum houses work from artists from all over the world, and it also has special exhibits throughout the year. It would be worth a trip even if you had to pay, but since it’s free, there is absolutely no reason to miss your chance to visit. If you want to enjoy the great outdoors (plus some amazing views), head to Mill Mountain Park. Go to the top of Mill Mountain and check out the Roanoke Star. The overlook atop the mountain offers breathtaking views, so set aside some time to just relax and take those views in. The world can seem so fast-paced that it’s nice to slow it down with a gorgeous view right here in Roanoke. You can enjoy all these activities for free, but you do need a way to get there. Since you’re saving on activities, you have some extra money to spend on a new vehicle. Berglund Automotive in Roanoke, Virginia, has a huge variety of options, so stop by and take a look today.